A view from a Ragged Mountain trail where I hiked this weekend. The theme of my first-year undergraduate applications was "extra-large, urban university." I did not want to go to a small school where I would know everybody, and I wanted to go to a school in an urban setting because I felt like the city was where everything was at. All the cool stuff happens in the city, right? Now you're probably thinking a) UVA is a medium-sized school and b) it is definitely not in an urban setting-what gave? I was too naive to realize it at the time but the "urban" part, in my school's case, meant there was no campus to speak of. Our "campus" was trampled over by tourists on a daily basis, and even though it had an extra-large student body, you could never tell if the people you saw on the sidewalk were students or residents. I felt that the school just lacked a community and the activeness of clubs/organizations and student life that traditional colleges had. It was basically living in the city and going to classes on the side. So...second time's the charm. The theme of my second-year transfer applications was "a school with a campus." I hadn't applied to UVA the first time around, but I considered it the second time around because it was a really popular school for people at my high school to apply to and because it was ranked pretty high. I sat in on two classes and went on a tour here after I applied, and even then, I still wasn't completely sold. Every tour guide I ever had/my college counselor always said "You'll know if a school's right for you as soon as you take a tour and step foot on the campus." Maybe in a dream world. There was never a school that I toured that I completely fell in love with, and UVA was no exception. I only began to really like UVA after being here for a month. In the summer before you start classes, all transfer students are assigned a TSPA (Transfer Student Peer Advisor) which is a student who transferred to UVA who is there for any random questions. They'll do a few events in the fall to get all the transfer students together such as a cook-off at Gooch/Dillard before the first football game. In terms of housing, you can choose to live in University housing or off-grounds housing. The housing department does guarantee housing for transfer students, and spots are reserved for transfer students in Gooch/Dillard which is at the end of Alderman Road close to the stadium. This has been true of the past years although starting this year, because of the construction of new first-year dorms on Alderman Road, some of those spots have been given to first years. Nevertheless, they do make an effort to house all transfers together. I lived in Hereford Residential College (unfortunately, this is no longer a housing option for transfers) which was right next door to Gooch/Dillard where the transfers living in on-grounds housing lived. I would highly encourage transfer students to live in on-grounds housing because I met a lot of my really good friends from eating at the nearby Runk dining hall, and it was nice that they lived only a short walk away from where I was living. As a transfer student, it's like you're a first year minus all the programming you would do as a first year. Yes, the TSPAs had a couple of transfer events, but really it's up to you to make the most of your experience. 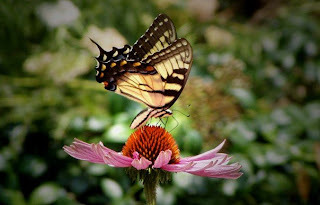 Transfer students who have a better transition are generally the ones that went out and joined something they were interested in rather than waiting for good things to happen. UVA is a medium-sized school, 13,000 undergrads, and any effort you make to join a club/organization makes the school feel a little smaller. Because our campus is so centralized, you'll see faces you recognize from the clubs/organizations you join on a regular basis as you're going from class to class. For the most part, I think our student body is pretty outgoing and friendly which makes meeting people just that much easier. What really helped my transition was choosing to minor in dance. The dance department is a smaller department, and it was like being part of a family. I took a lot of dance classes because I didn't have a dance minor at my previous school, so I was a year behind. Through those dance classes and the spring dance show that I ended performing in I met a lot of people. It was a way to pursue my passion for dance but at the same time a way to meet people. Meeting people aside, there were times when I felt lost with various things like being pre-med or studying abroad. What I was surprised with was that there was pretty much an advisor or peer advisor/mentor program that I could turn to when I had questions through University Career Services and the International Studies Office and even the pre-med club I joined and the Arts & Sciences Council. Just knowing that there's a person who can help you out should you need it was comforting. If you're wondering how/what credits will transfer, I would encourage you to visit the transfer credit analyzer at http://www.web.virginia.edu/analyzer/. It will show you all the credits that we've historically evaluated and accepted from your school. It's not a comprehensive list; it's just a list of credits transfer students have come in with before. A general rule is if it's a generic class (ie. General Biology, Introduction to ____, etc.) we will most likely accept it. In evaluating your credit, UVA tries to find a class that's offered here that is the equivalent of what it was at your school judging by your course's syllabus. One part of the transfer credit analyzer that people call in with questions about is what the "special status" part means. The "NO" does NOT mean "No, we do not accept this credit." It means that it does not meet the "Non-Western Perspectives" (NW) or "Historical Studies" requirement (HS). If the class shows up on the list, then that means we accept it. "Non-western perspectives" and "historical studies" are area requirements that the College of Arts & Sciences requires all students complete. If you have questions about area requirements, please see http://artsandsciences.virginia.edu/college/requirements/area/index.html . If you all have any questions, feel free to comment on this post or any of the other pertaining posts, and I or the other summer guides would be happy to answer your questions. It's true, you probably won't make a college decision based on library resources... That being said, our library system is fantastic! I know of students who have never entered a library during their four years. That's an accomplishment - you definitely have to go out of your way to avoid them. We have sixteen libraries spread all over grounds. 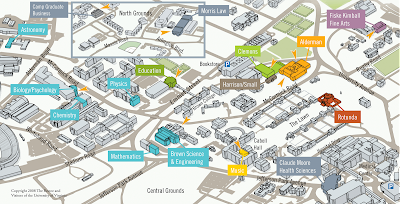 Most of them are associated with various departments, so for example- the Music, Physics, Classics, and Biology buildings all have their respective libraries. We have over 5.1 million books. What does that mean practically speaking? You can wait pretty much until the last minute to do all your research, and chances are, our library will have everything you need. =) Not recommended!! My favorite library is Alderman, home to most liberal arts books. It's a five floor building- though "stacks" (where the books are stored & grad students have their carrels) divides into 1/2 floors- with a lively cafe, our McGregor Room (my ten year old sister calls it the "Harry Potter room"), the Scholar's Lab (with a beautiful view of Memorial gymnasium & Nameless Field), and a ton of nooks and crannies perfect for papers & studying. 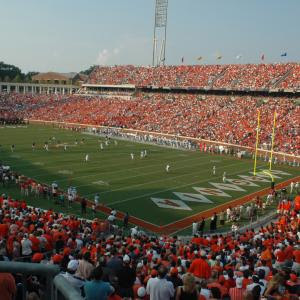 Regarding athletics, UVA is an NCAA division one school part of the ACC with 25 varsity sports. 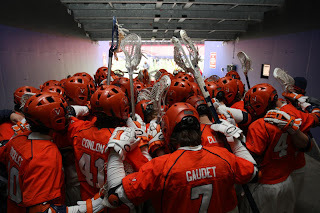 As far as athletics go, this past year UVA sports teams finished with some incredible records across the board, and Cavaliers claimed 6 ACC titles this past year. All students have completely free access (with the use of their student ID card) to any single athletic event, so as a student you’ll never find yourself paying to support your friends and classmates. The school spirit at any of our athletic events is tremendous; for football games, you’ll see students dressing up; at soccer and lacrosse games, you’ll see students painting themselves orange and blue; and for basketball games students will sport their orange ‘Hoo Crew t-shirts. Athletics are a huge aspect of the university and definitely serve as a great activity for students to take a break from their rigorous academics and hang out with their friends and have a good time losing their voice as they cheer on their favorite players! 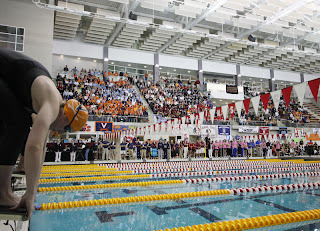 We have three tiers of athletics here at UVA each which students can participate in. Now obviously because UVA is a division one school, the competition is quite intense and playing a varsity sport at this level would be extremely competitive and a huge time commitment. However, a lot of students opt to participate at the club level, which is the tier just below varsity. I would equate the club level team to being like your high school varsity team – yeah, that sounds right. 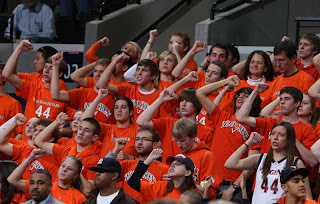 We have 55 club teams at UVA ranging anywhere from competitive ballroom dance, to lacrosse and basketball. Students participating in activities at the club level can expect anywhere between 2-3 practices weekly, and can expect to travel up and down the east coast on select weekends in both the fall and spring semester to compete against other club level teams and various colleges. I participated in Club Swim my entire first year. It was such a great experience because coming into the university, I knew absolutely no one at UVA. By instantly becoming involved with a group within my first weeks here, it made my transition from high school to college so much more easy and smooth. The tier just below club level is called intramural, and personally, I think the intramural level is the most fun because it is really not competitive at all. It’s roughly 80% of UVA students who participate in an intramural activity at least one season throughout their four years here. Our intramural activities range anywhere from inner tube water polo played at our Aquatic and Fitness Center, to flag football which is played down at the university’s park over by the grad schools. For these various intramural activities, students really just get together with their friends (members of their extracurricular activities/organization, dormmates, etc.) and have a good time! Every semester since my first year I have played intramural basketball on both a Co-ed team, as well as an independent team (an all girls team). By instantly becoming a participant in any sort of extracurricular activity or any tier of sports really is a great way to meet other students who are interested in similar activities, not to mention, it’s so much fun to have something like an athletic event to look forward to on a weekly basis! During first year orientation, you sign up for classes at a prescribed time. Problem one, I had the second-to-last time slot, and problem two, I went to the wrong building (I went to Bryant instead of Bryan). By the time I signed up, I had to go through my 5th and 6th choices for each class slot... I was freaking out! One of the orientation leaders told me not to stress about it, because when enrollment opens after First Year orientations, most upperclassmen start moving around their schedules and freeing up space. This year, open enrollment begins on August 5th. One of my biggest fears about first-year classes was that my professors would ignore their undergrads in favor of their research. What I found instead is that professors are really excited to integrate their latest discoveries with the regular classroom. My final project in this class was to critique one building of a 3D map of Rome that my professor was working on in a lab here in Cville (based on the Severan marble plan of Rome). I used the history I'd picked up in the classroom, some map-reading that I picked up in his labs, and my own research- and by the end, I'd worked with him, his grad students, and fellow undergrads. Awesome. At UVa, we're involved both in the classroom and in the community. We're very fortunate to have a close connection with our city Charlottesville, and through this bond and active students, UVa has witnessed some amazing community service projects. Madison House is the largest service organization on the East Coast. Last year alone, over 110,000 hours were logged. opportunities range from tutoring any subject at any grade level, working in a nursing home, soup kitchen, day care, or mentoring program, and helping with animal care, park area maintenance, or building projects. To see all of their various projects, visit their website listed below. Even our Greek societies get involved. 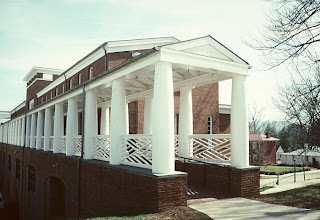 At UVa we have both service and social fraternities and sororities. The social ones have at least one philanthropy per semester while the service ones tend to have several more per year. For more information on our Greek councils, visit "http://www.virginia.edu/fsl/". In high school, you all probably participate in tons of clubs and do a bazillion different activities from playing sports to doing community service through the Key Club. Well at UVa, we take all those opportunities to a whole new level with our CIO's, which is UVa lingo for clubs. To the left, you will see a picture of the Student Activities Fair that Student Council hosts during the first week of school where our 600+ CIO's try to lure in new members. A small sample of our offerings: Alternative Spring Break, A Cappella Groups, Ultimate Frisbee, Robotics, Step It Up, Baking, Shakespeare on the Lawn, American Medical Students Association, Student Athlete Advisory Committee, and many many more! Now we don't just call them CIO's so we can toot our horn and feel special about being different but rather it is to emphasize a central concept to the University, student self-governance. Each CIO declares its independence in its constitution (hey, we were founded by TJ!) through the following manner: "Although this organization has members who are University of Virginia students and may have University employees associated or engaged in its activities and affairs, the organization is not a part of or an agency of the University. It is a separate and independent organization which is responsible for and manages its own activities and affairs. The University does not direct, supervise or control the organization and is not responsible for the organization’s contracts, acts or omissions." This independence allows students to think big and not be restricted by the University in terms of what they can and cannot do. More importantly, it allows students to gain invaluable leadership skills running these CIO's as each CIO has an Executive Board which recruits new members, hosts events, and secures the funding to put on the events. These skills make UVa graduates prized commodities in the workforce and many alumni have told me that the skills they picked up leading organizations on Grounds have been more useful to them in their careers than the Introduction to Microeconomics class they took their first-year. Last weekend, I went blackberry picking at Hill Top Berry Farm & Winery about 20 minutes outside of Cville. The next day, I woke up early and pulled weeds at Roundabout Farm as part of a friend's vegetable share. This weekend I plan to get thoroughly lost hiking to Humpback Rock, about a 20 minute drive from UVa. If you're someone that needs a buddy to guarantee that you'll actually get up for that workout you planned, our Outdoors Club, Cycling Club, Cross Country Club, and Triathlon Club all come to mind. The Resident International who studies Architecture? 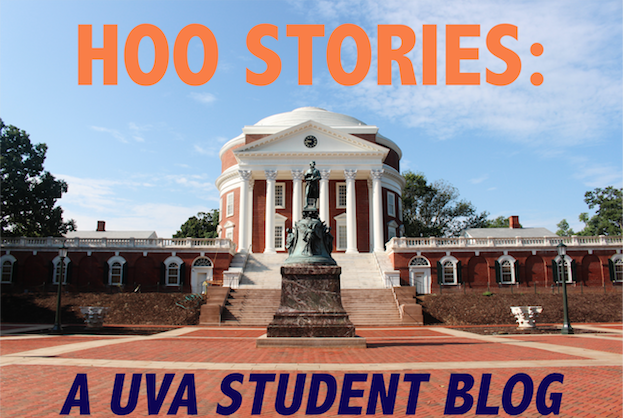 As you have noticed from the title, I am not your typical UVa student. My name is Assad, and I am a rising third year studying Architecture and Economics. I hail from two places, Jersey and Jordan, (yes, Jordan as in the other side of the pond). Need I say more? Architecture has always been a passion of mine. My parents were slightly worried when I started drawing blueprints as a six-year-old instead of playing video games, but that interest has evolved and blossomed into a career, and I love it! One major thing you need to consider in terms if applying to Architecture schools (if there are any aspiring architects out there reading this blog) is whether you want to look at four-year programs or five-year program. Dear old UVa offers a four-year undergraduate program, which means that you would have to attend two more years of graduate school to become a licensed practicing architect (I will talk more about that in my next post). However, the positive thing about four year programs is that they tend to be less rigorous and allow you to explore other academic and non-academic areas that spark your interest, while still preparing you for a future in Architecture. Even if we don't have too many architects reading, I am sure all of you out-of-staters and internationals can relate to my experience. Coming from a small high-school with a graduating class of 70 students, UVa was rather intimidating at first. We have 13,500 full-time undergraduates here and about 22,000 students in total. So, you can imagine how big of a transition UVa was for me. However, the initial intimidation: completely out-of-place. For those of you who have already visited, you have observed how friendly, helpful, and enthusiastic people are around here. And the reason behind that is not solely to entice you and convince you to come here, but it is absolutely genuine and heartfelt. As far as I know, everyone here is doing something they love and if they still don't know what they love, UVa helps them discover that. A great advantage of being in such a major research university are the number of opportunities available for you here as a student. As such, you will definitely find your passion here and you will enjoy every moment along the way.